With over 1,000 islands, amazing museums, sensational music festivals, a spectacular rocky coast and super clean Mediterranean sea, Croatia is a dreamy summer destination. Country unlike any other. There are just so many things you can see and do here. Whether it is its unspoiled nature, historical sights or world-class museums, Croatia has it all. Which places are you going to visit in Croatia depends mostly on your specific tastes and interests, as this fascinating little country on the Adriatic has everything you could ask for. Wanna find out what are the best spots to visit? What is crème de la crème of this beautiful country? Here is the list of 13 places to visit in Croatia before you die. This fairyland of 16 emerald lakes, bubbling waterfalls, and lush greenery, is definitely one of the country’s biggest pearls. It is also Croatia’s first national park as it was open way back on 8 April 1949. Throughout the year, the Plitvice national park will welcome you with a number of wooden bridges and hiking trails meander throughout this exotic paradise inhabited by wolves, brown bears, and over 160 species of birds. If in Croatia, you really must not miss this place. Plitvice lakes are just magical. 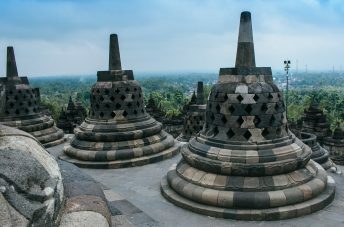 Even UNESCO put it on its list. Constructed from 27 BC – 68 AD Pula Arena is one of the world’s largest surviving Roman amphitheaters and the best preserved ancient monument in the entire country. But not just this! It is also the only remaining Roman amphitheater to have four side towers and with all three Roman architectural orders entirely preserved. Just to compare, the famous Colosseum in Rome has had two-thirds of its original structure destroyed. 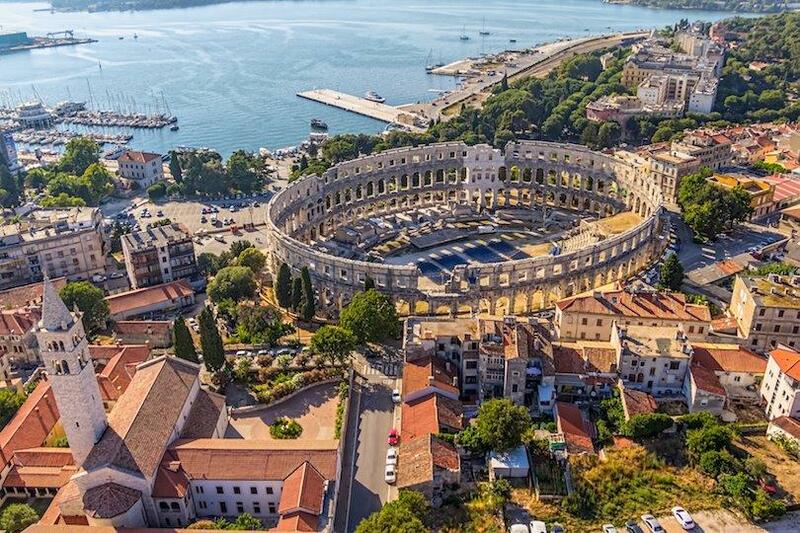 Once served as a gladiator battleground, the arena is now the center of the city’s cultural life, hosting a variety of events, exhibitions and concerts, including the Pula Film Festival in July. 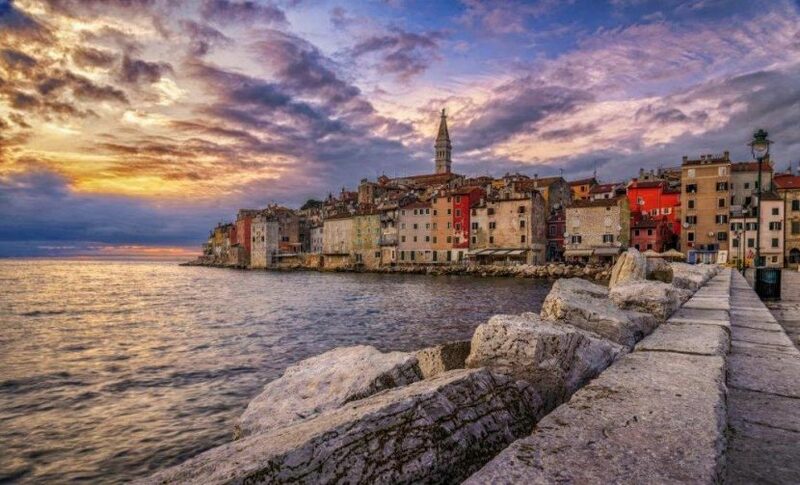 Split might be the second largest city in Croatia, but with its fine beaches, historical landmarks, museums, art galleries, and natural parks, it may well be the place to visit on your trip to this beautiful country. The one thing you cannot miss while being here is 1,700 years old Roman Palace that lies in the heart of the city. The place itself is super beautiful by day, but if you have time, pay a visit in the evening, when the atmosphere gets very charming. Do you want to hear something cool? More than 3,000 locals are still actually living inside this complex! More than 3,000 of them now live in the place which originally housed Emperor Diocletian and his garrison, back when this part of the Adriatic coast belonged to Rome. 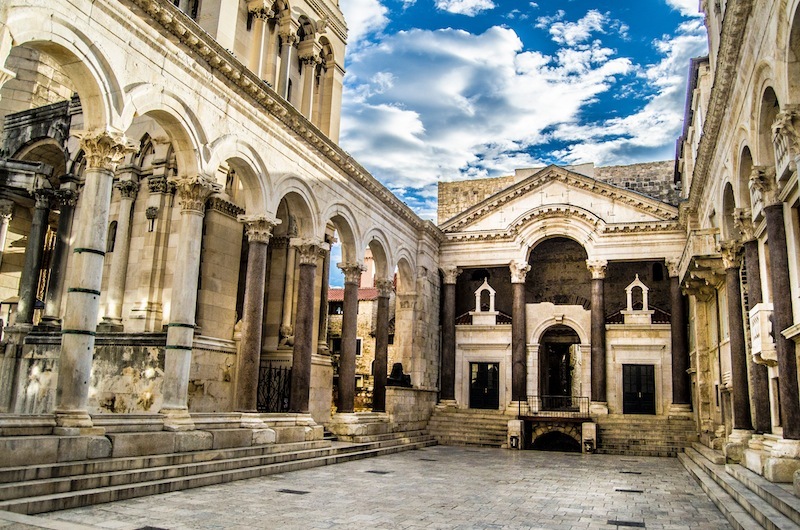 By the way, Diocletian’s Palace is also a UNESCO world heritage site. If there is a paradise on Earth, this got to be it. 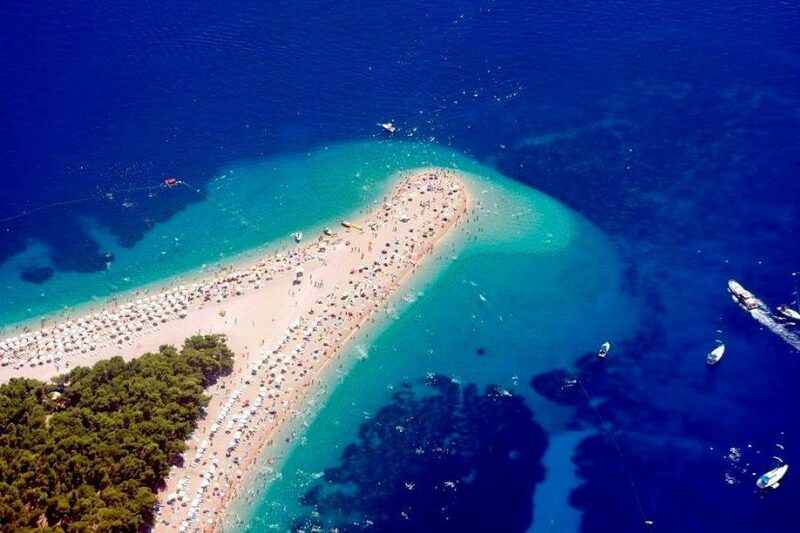 Located on an island of Brač, this 530 meters long beach is known as one of the most famous beaches on the Adriatic coast. Beautiful white pebbles and turquoise clear blue sea, are just some of the reasons to come here. But the place has more than just its beauty to offer. It also is a great place for young people and families with children, as it offers a vast number of different activities from water sports like jet-ski, banana boat ride, trampoline and sailing to an interesting children’s amusement park. P.S. What is interesting to mention is that the beach is changing its shape according to tide and current. Basically, it will never be the same when you visit it more times. Also known as Placa, Stradun is Dubrovnik’s most famous and beautiful street. The hot spot of all public feasts and processions. It is believed that it was created as a consequence of trade and growing socio-economic ties between the Roman-Greek settlement on the islet Lave and the Croatian-Slav settlement on the mainland. Today, this 300 meters long promenade paved with marble connects the city’s eastern and western gates and is lined with elegant historic buildings, museums and beautiful shops and cafes. Make sure you climb to the walls of the city. The view from here is simply breathtaking. Perfect place for a perfect selfie. Located just 27 km from Adriatic’s biggest city Split and surrounded by medieval walls, the UNESCO-protected historic city of Trogir is a true mixture of Romanesque, Renaissance, and Baroque architecture. Charming Italian pizzerias and traditional konobas (local restaurants) fight for space on its narrow, cobblestone streets, while lively outdoor cafes entice visitors with fresh seafood and foamy cappuccinos along the broad seafront promenade overlooking the Dalmatian Coast. Make sure you check out the nearby island of Čiovo. It is said to have great beaches. Full of Venetian-era monuments, purple lavender fields, and a yacht-studded Renaissance harbor, the island of Hvar is probably the sunniest and most glamorous of all Croatian islands. Situated in the Adriatic Sea, off the Dalmatian coast, Hvar is characterized by green, unspoiled landscapes and small, pebbly beaches lapped by calm, azure seas. Hvar is also considered as one of the greatest places to live in the country. Its mild winter and warm summers, accompanied with healthy Mediterranean food and relax lifestyle, might well be the recipe for long and happy life. Throughout its rich history, Mali Lošinj was once an important maritime and commercial center. Today, it is the largest island town in the Adriatic, that lies on the beautiful island Lošinj, known for its clean sea air and picturesque Mediterranean architecture. During your stay here, you must not miss the pine forest on Cikat peninsula, a very cool place where you can run and cycle. If you are into something more relaxing, just stroll along the seaside promenade, breathe the fresh sea air and sunbathe on the sandy beach of Cikat bay. But there is one thing that is a definite must-see here. The museum of Apoxyomenos, a 1.9m tall 300kg bronze statue that dates from the 1st or 2nd century BC is one the highlights of the town. The name comes from the Greek word for “man giving himself a scrape” and shows an athlete poised to scrape off the dirt and sweat after a long day of hard work. Most people visit Croatia for its unquestionable coastal charms and breathtaking nature. However, very few of them know that inside the country, you can find scenic landscapes and hilltop medieval hamlets, such are those in Tuscany. One of the most astonishing places in the area is Motovun, a quaint walled town perched on top of a hill above pretty vineyards, truffle-rich forests, and the 53-km-long Mirna River. In case you visit the city of Motovun, there is a good chance some of the locals will tell you a story of Veli Jože, the good and kind giant who lived in the time when the Venetian Republic ruled over Istria. To find out more about this interesting tale, click here. In the Croatian capital, Zagreb, the main sightseeing area is the medieval Gornji Grad (Upper Town). 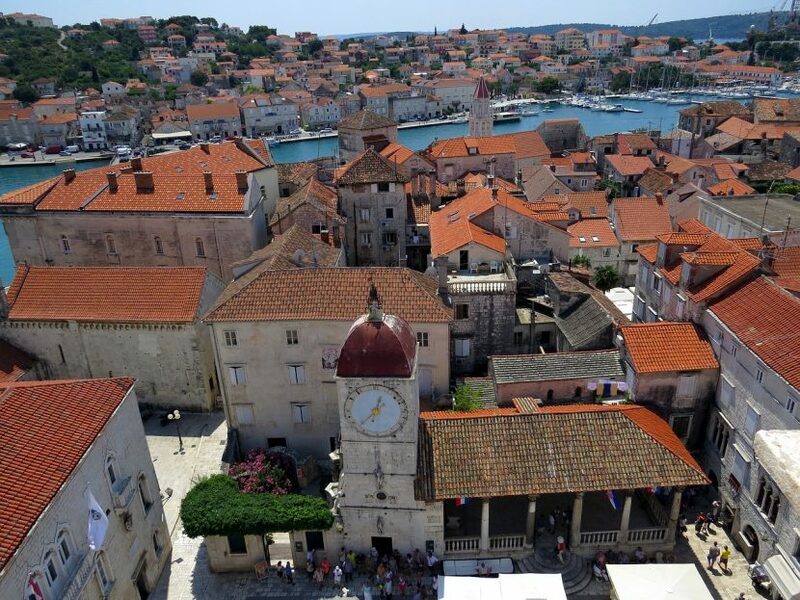 Here, attractions include the cathedral with its Neo-Gothic façade and twin steeples; the Croatian Sabor (Parliament); the Church of St. Mark with its colored tiled roof; and the 13th-century Tower of Lotrščak, which you can climb for fantastic views over the city rooftops. Also be sure to catch most people’s favorite, the much-loved Museum of Broken Relationships. In case you want to find Italy inside Croatia, then this is your place. 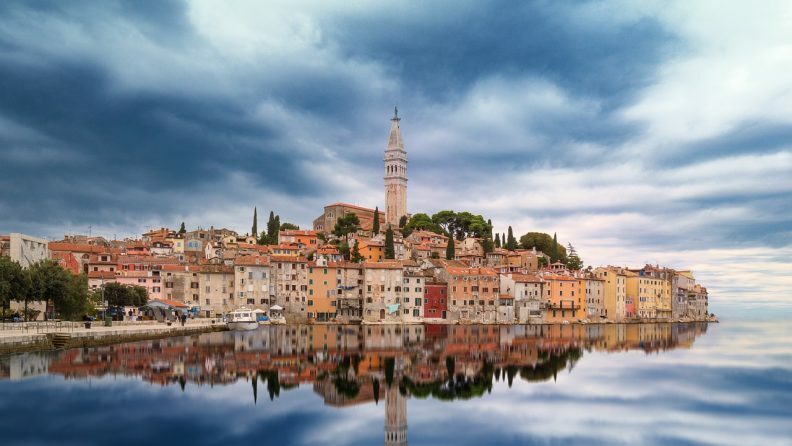 With charming piazzas, Venetian-style houses and super delicious Italian-flavored food, Rovinj may well be one of the prettiest towns in Croatia. Just look at that image above. Who would not like to spend some time there now? 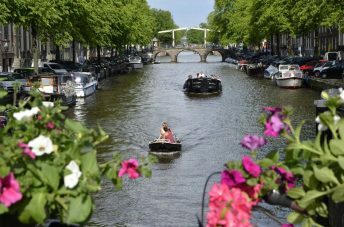 This postcard-perfect town is full of bars, restaurants, and art galleries, while glamorous yachts and old fishing boats stand side by side in the harbor. 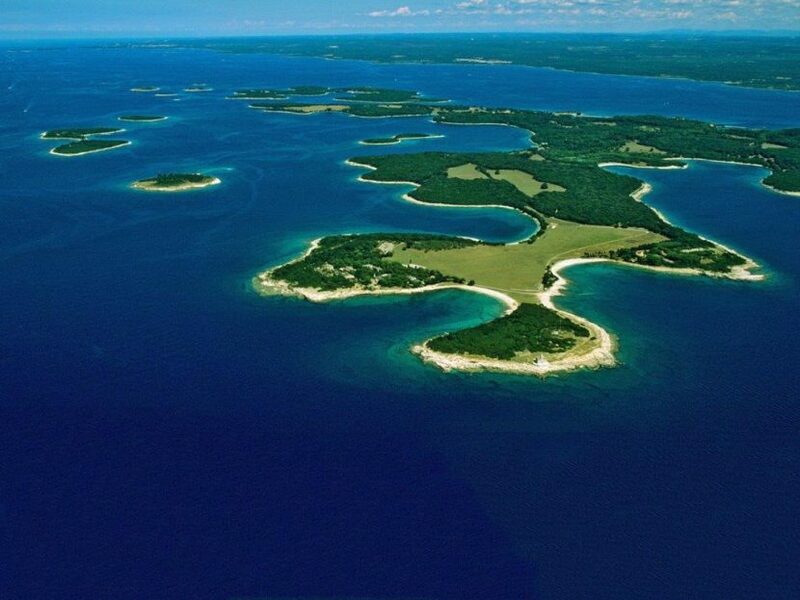 Lying off the Istrian peninsula, this archipelago of scattered pine-scented islets is a national park. The largest island, Veli Brijun, is covered with beautifully landscaped parkland and is open to visitors. The former President of Yugoslavia, Tito, used to welcome visiting foreign diplomats here. Most of them were coming with a gift and some of them even brought him exotic animals as gifts, which are now on show in the small safari park – elephants from India, antelopes from Zambia, and zebras from Guinea are the main attractions. There are also two hotels, a golf course, and the ruins of a Roman villa. To get here, catch the national park boat (reservations essential) from Fažana on the mainland, seven kilometers north of Pula. Set on a small island in the middle of the lake within Croatia’s Krka National Park, the centuries-old Visovac Monastery is a sight to behold. Aside from its religious importance and lovely collection of paintings and archaeological finds, this sacred spot surrounded by soaring cypress trees is a haven of serenity and lush vegetation. And that is it guys. We have come to the end of our trip through beautiful Croatia. You have been reading this text for some time and we think that it would be cool to share with you one more place that is well worth visiting while in Croatia. A location truly magical and unique where you can rest your mind and soul. So, wanna know what it is? 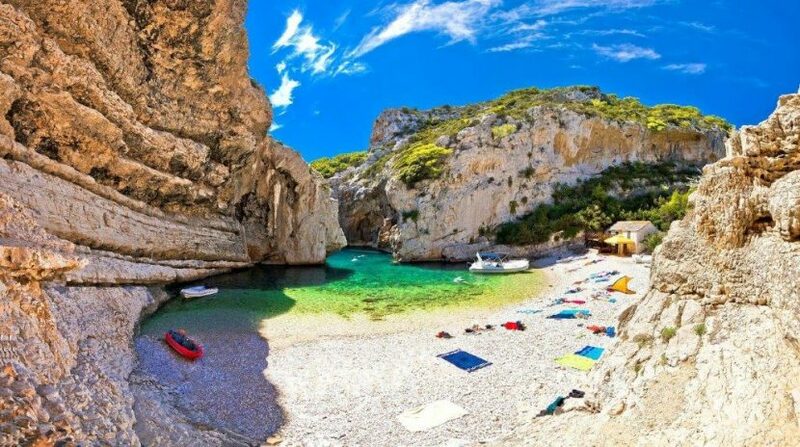 Stiniva beach on Vis Island! This amazing beach you see on the image was named best beach in Europe by European Best Destinations (2016)! It is located on the island of Vis, snuggled between soaring rocky cliffs and decorated by the clearest turquoise waters you’ve ever seen. Cool place to amaze a person you care for. P.S. 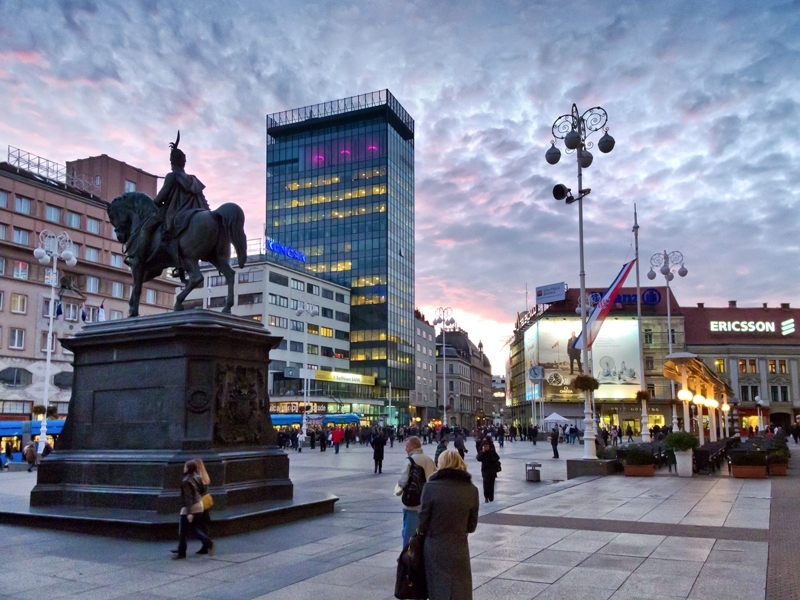 In case you liked this text, check out the text we wrote about cool places to see in Zagreb. Thanks to Travel away and Planet ware, Wikipedia, Dubrovnik city and Rio price sa putovanja, for providing us with the information to write the article.